We would like to extend a warm welcome to all those interested in the 30th Indiana Civil War Re-enactors, Inc... The 30th Indiana is a family oriented, non-profit corporation. 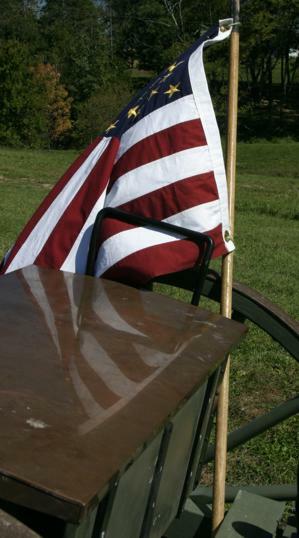 We are organized exclusively for the purpose of fostering and preserving the history of the Civil War era. We are involved in public discussions and demonstrations of living history, Civil War battle re-enactments, camp life, military drills, parades, educational activities, and other related public portrayals of historically accurate Civil War era military and civilian life-styles and activities throughout Indiana, the Midwest, and the United States. The Web site has been prepared to help with your transition from modern day civilian to a soldier of the Western Theater of the Civil War or a civilian of the 1800’s. We sincerely hope that the information and insights provided on our Web site will help answer most of your questions regarding the 30th Indiana in particular, and Civil War reenacting in general. The Web site is meant to be a starting point and introduction to our group. Please feel free to contact any of the officers or other members regarding any additional questions that you may have. 30th Indiana Civil War Re-enactors, Inc.